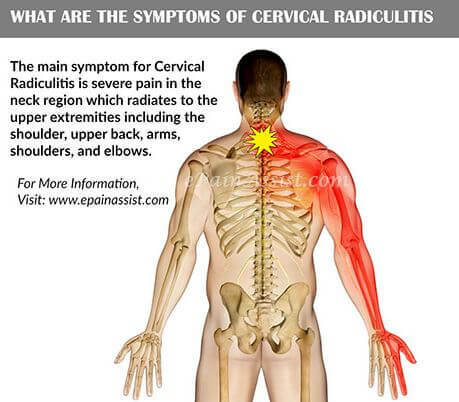 Radiculitis is pain that is emitted along the way of the nerve due to pressure exerted on the base of the nerve where it connects to the spine. 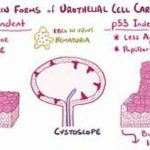 Since nerves from the spine spread out to other parts of your body, you can feel pain and other symptoms of radiculitis in other areas of your body apart from the affected area. 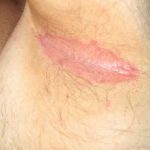 Ridiculitis occurs when pressure is applied directly on the nerves on your skin especially those regulated by sensory fibers of nerve source1. This occurs when pressure is exerted on nerves in the upper area of your spine. Cervical spine is made up of seven vertebrae that arise from underneath your skull. 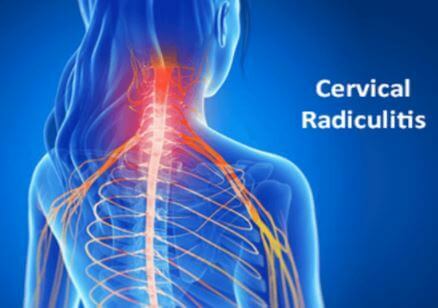 When your spinal disc compresses the nerves that attach to the spinal cord, radiculitis occurs. You can feel pain in your chest, shoulder, arms and neck but this depends on the disc affected in your body. You can also feel numb in your fingers as well as weakness in your chest and arm muscles. This type of radiculitis occurs when nerves in your thoracic spine are compressed. Thoracic radiculitis mostly cause pain in your chest. The affected area is usually swollen and painful. It can also cause numbness and a tight feeling in the region of your chest. Lumbar radiculitis happens when nerves in your lumbar spine or lower region of the spine are compressed. This can occur due to compression of the nerve root in the lumbar spine by bone spurs or affected lumbar disc. You can feel this pain in the foot, top part of the back thigh and lower back. Radiculitis can occur as a result of anomalies in your spinal cord, or spinal disc that compress the spinal nerves. The most common causes of radiculitis are bulging and herniated discs. 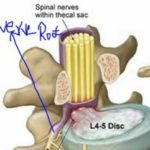 This is where the disc between the vertebrae that form your spine is affected. A spinal disc is enclosed with a though outer cover while its center is soft. When the soft structure in the disc is pushed out via the outer cover, it affected the nearby nerves. This leads to pain and weaknesses in your leg or arm. Herniated disc can occur due to gradual wear and tear of the disc. As you become older, your spinal discs water content decreases making them less rigid and prone to rupturing and tearing even with little twist. You are overweight-Too much weight puts more pressure on the disc in your lower spine or lower back. Bulging discs are found in the lower back as a result of weakening or deterioration of the disc. The affected disc swells via a gap in the spine and extend beyond its normal position. While the disc continues to extend, its internal liquid-nucleus expands towards the exterior cover of the disc. This nucleus can leak via the broken shell and cause pain and other complications. Bulging discs can also compress the surrounding nerves that may lead to severe pain and uneasiness. Bulging disc can occur due poor posture, injury or degenerative diseases. Poor posture includes sitting, standing or sleeping in a misaligned position. This strains your neck and back causing the disc to bulge. You can prevent poor posture by using the pillow placed between the knees while sleeping on the sides. Always sit upright with your back upright and shoulders at the back. Stenosis is a condition that causes spinal cord and its nerves to narrow. Stenosis can occur in different parts of your body. It can happen in the lower back and in the neck. Normally the spine is made up of vertebrae and discs. These discs protect the spinal cord against damage. Stenosis can happen as a result of arthritis, a condition that cause the cartilage in your bone to break and which causes the space in the spinal canal to narrow. This can touch the nerves and the spinal cord leading to pain, itching, and numbness in your arm and leg. Spinal stenosis can also occur due to injuries that can cause a fracture in your spine. Tumors that develop in your body can exert pressure on you spinal cord and nerves hence narrowing them. Another cause of stenosis is Paget’s disease; this condition that makes your bone to grow abnormally big and fragile. As bones grow larger, they constrict the spaces in your spinal cord causing stenosis. This is a condition where one of your vertebrae in the back slips forward over the bone underneath. This can occur in your spinal cord or base nerves where it compresses the nerves and spinal cord. This can lead to pain or numbness in one or both of your legs. Genetic factors– You can be born with defective bones which make you prone to this condition. Depending on the affected areas, your doctor can perform a physical test by asking you the start of pain. Your doctor can examine if your movement is limited in the leg or arm. Other imaging tests such as magnetic resonance imaging (MRI), computed tomography scan and x-rays can be used to find out problems in your spine. 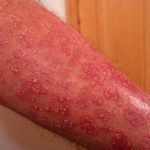 Managing of radiculitis is done to treat the underlying cause of the problem. Treatment of this condition is achieved through conservative and aggressive methods. These drugs can be used relieve pain and inflammation in the lower back and other areas. 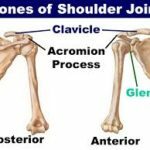 You can visit a physical therapist suggested by your doctor to help you reduce pain and improve movements in your shoulder. Your physical therapist can also teach you muscle strengthening exercises to perform while at home to treat the symptoms. Surgery can be used in case the conservative treatments fail to manage the condition. 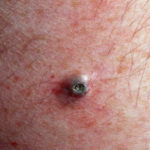 Your doctor will perform several surgery procedures to treat radiculitis depending on the severity of this condition.